A film documentary on the life of legendary skier Shane McConkey, made its debut at the Tribeca Film Festival in New York City. McConkey was a Squaw Valley based ski racer who moved into extreme skiing, base jumping and ski-BASE jumping. 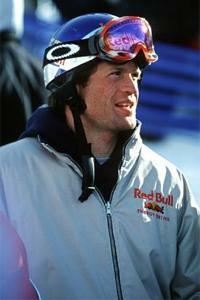 McConkey lost his life while attempting a ski-BASE jump in Italy. Sadly, the ski release mechanism failed and McConkey never opened his chute. McConkey’s long career of performing amazing feats and crazy jumps with cameras rolling, gave the film’s 5 directors plenty of material for the movie. I haven’t seen the movie, but reviewers say it is an action charged movie with amazing footage of a guy who pushed the limits. Some would say that he had a passion for life. Others might say he took unreasonable risks. Whatever your bias may be, McConkey had a passion for what he did and he enjoyed every minute of it. The 90 minute film by Red Bull Media House and Matchstick Productions is set to open “in the fall of 2013”. The film's kick-off event will be at Squaw Valley.